Fees for on-site massage, professionals presenters, speakers and other services will vary based on the specifics of each event or assignment. Key factors include: length of appointments, time of day, time of year (tax season, Christmas, New Years, July 4, company centennial, etc. ), number of hours, location, day of the week, etc. We want your business and look forward to quoting you the lowest price possible. Call our corporate office today at 757-918-3565 for your customized price quote. This is the most basic program we offer and is designed to serve as a public relations customer service event or as an employee benefit. We set up our massage chairs or a therapy table near or around your office, event, or party. The fee is based on the number of chairs/tables and workers required, the number of hours booked and the location of the event. Fees range from as little as $60 to $150 per hour. This program is designed to generate additional revenue at trade or consumer show as well as being of benefit to your attendees. We set up our massage chairs near or around the trade show floor. We only require approximately 3' x 3' per therapist so we do not tie-up your valuable trade floor space. We create revenue by charging attendees $10.00 per 10 minute massage. Each on-site practitioner can generate approximately $50.00 per hour. Approximately 2-4 percent of the total number of attendees will make use of this service. Show management receives royalties based on a percentage of the revenues. You also receive FREE gift certificates to be given to important clients or employees. We support you in maximizing revenues by offering discounted and bulk gift certificates, which can be sold to attendees. Often a travel agency handling the event will purchase gift certificate coupons, so their clients can receive complimentary massages. Added pre-show promotion can be created by listing this service in the official show directory in exchange for free gift certificates. We supply an on-site coordinator to promote stress management and On-Site Massage sessions to foot traffic. This partnership works best in shows where there is large attendance (40,000 or more) and there is an admission fee. This third program is a public relations customer service event. We would offer five minute on-site massages to attendees as a courtesy service. This program is sponsored by an exhibitor or one of the primary show sponsors. Our organization presents the "Stress Management and Massage" booth as a representative of the sponsor. Our staff wears the sponsor’s signature clothing including tee shirts, hats or baseball caps. Any handouts, gift certificates, signs or banners prominently display the sponsors promotional message and logo. This is an unforgettable promotional tool. We can also create a customized taped message for you. This can be played through a CD or cassette through earphones while your potential customer is getting massaged. This frees up your sales staff and also keeps your potential customer in the booth longer. As previously mentioned, limited space is required (approx. 3' x 3' per therapist). Your valuable trade floor space is not needed. Each On-Site Stress Management and Massage program is self-sufficient. No support is needed from carpenters, electricians, or administrators. Space is all we need. We maintain our rates as low as possible. Are you under budget constraints? Talk to us about combined cash – barter arrangements. 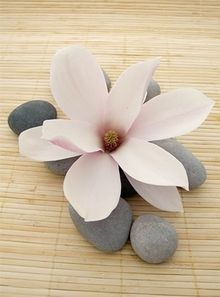 ~ understand and recognize the value of receiving regular massage. ~ be able to commit to a minimum of at least one hour (or two - 30 minute sessions) of massage per month. ~ honor my 24 hour rescheduling, cancellation & late policy. ~ member-exclusive specials, prize drawings & give-aways! Once selected for membership your session fees are billed once a month to a major credit card or debit card. To end your membership, written notification is required 30 days prior to your next billing date. Prepay 5 treatments and receive a 20% discount. You must commit to Every week, Every other week or Every month to qualify. appointment week or the appointment is forfeited. ABOVE SPECIALS CAN'T BE COMBINED WITH ANY OTHER OFFERS! Researchers found that a single session of massage caused biological changes, like increases in oxytocin, a hormone associated with contentment. Does a good massage do more than just relax your muscles? To find out, researchers at Cedars-Sinai Medical Center in Los Angeles recruited 53 healthy adults and randomly assigned 29 of them to a 45-minute session of deep-tissue Swedish massage and the other 24 to a session of light massage. All of the subjects were fitted with intravenous catheters so blood samples could be taken immediately before the massage and up to an hour afterward. To their surprise, the researchers, sponsored by the National Center for Complementary and Alternative Medicine, a division of the National Institutes of Health, found that a single session of massage caused biological changes. Volunteers who received Swedish massage experienced significant decreases in levels of the stress hormone cortisol in blood and saliva, and in arginine vasopressin, a hormone that can lead to increases in cortisol. They also had increases in the number of lymphocytes, white blood cells that are part of the immune system. Volunteers who had the light massage experienced greater increases in oxytocin, a hormone associated with contentment, than the Swedish massage group, and bigger decreases in adrenal corticotropin hormone, which stimulates the adrenal glands to release cortisol. The lead author, Dr. Mark Hyman Rapaport, chairman of psychiatry and behavioral neurosciences at Cedars-Sinai, said the findings were very, very intriguing and very, very exciting and I am a skeptic. 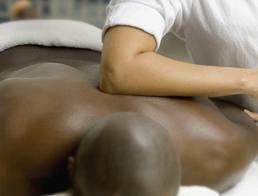 Massage & bodywork is provided for the purpose of relaxation and relief of muscular tension and discomfort. Massage should not be considered as a substitute for medical examination, diagnosis or treatment. A physician should be consulted for any medical condition you may have. If you are currently being treated for a particular condition or have symptoms of an undiagnosed condition, it is your responsibility to contact your doctor to rule out any possible contraindications. Under no circumstance will any illicit, sexual, aggressive or suggestive remarks or advances be tolerated. This will result in the immediate termination of the treatment and you shall be liable for the full payment of the scheduled appointment. IN THE CNU AREA, BTWN HARRIS TEETER & PANERA BREAD.